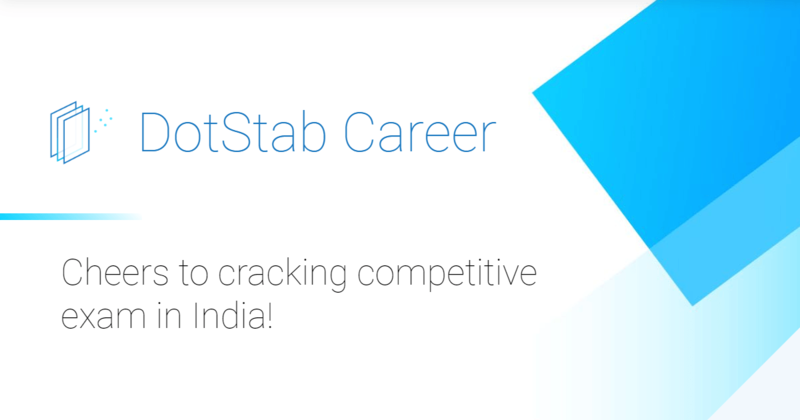 Dotstab Career is a website that aims to provide current affairs and government job updates to help cater the needs for government job aspirants in India. The website plans to provide quiz and mock test papers in the near future. Currently the website is available in 2 languages - Hindi and English. Cheers to cracking competitive exam in India!